Healthcare professionals can improve their knowledge of diabetes with a a free and accredited training course. Diabetes in Healthcare is a free introductory diabetes education tool for healthcare professionals covering Type 1 and Type 2 diabetes. It has been developed by Diabetes UK and Bupa to allow easy access to good-quality diabetes education. The changes in blood sugar levels resulting from diabetes can affect the lens inside your eye, especially when diabetes is uncontrolled. This can result in blurring of vision which comes and goes over the day, depending on your blood sugar levels. A longer-term effect of diabetes is that the lens of your eye can go cloudy, this is called a cataract. 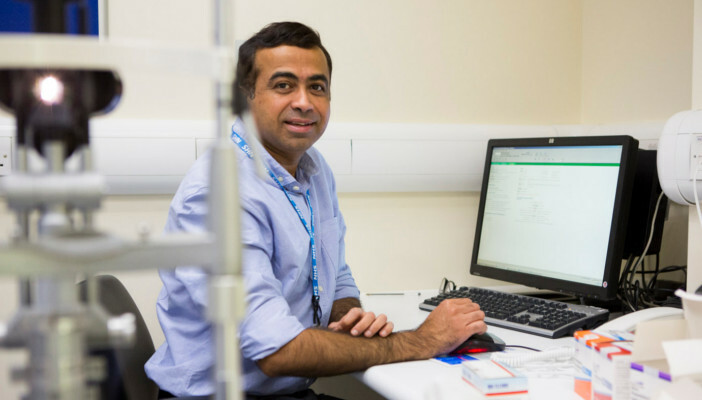 The training is accredited by the Royal College of Nursing and is specifically designed for healthcare professionals, who do not work in a diabetes specialist area. How to recognise the symptoms of diabetes and how it can be diagnosed. How to treat diabetes through lifestyle and medication, and what to do if not under control. How diabetes is monitored, both by healthcare professionals and by the patient. How to recognise people at risk of complications associated with diabetes and how to support them to reduce these risks. How diabetes affects patients' lives and how to support the patient emotionally throughout their diagnosis and treatment. How to encourage self-management and structured education.